Every March we update and re-issue our awareness module on malware (viruses, worms, Trojans and all that junk). This year, we've picked up on three disturbing trends in the murky world of malware - three risks that are in or heading towards the red zone. The Sony hack security awareness case study presented a golden opportunity to demonstrate how today's sophisticated malware-fueled attacks work ... so that's exactly what we did. Being such a technical topic, it is becoming more of a challenge every year to explain cutting-edge malware in terms that everyone can understand ... but that's the kind of challenge we relish! Does your security awareness program cover malware? Is it bang up to date on today's malware landscape? Do you have the time to research and prepare top-quality adult education materials that motivate your audiences to behave more securely? 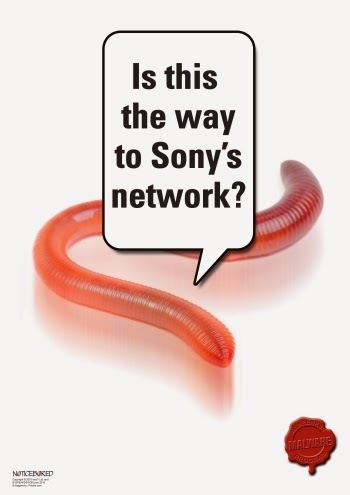 Have you been able to take advantage of Sony's misfortune and learn from their mistakes? Read more about the latest awareness module here and please get in touch if we can interest you in subscribing to the NoticeBored service. Security awareness is our passion. It's what we do.